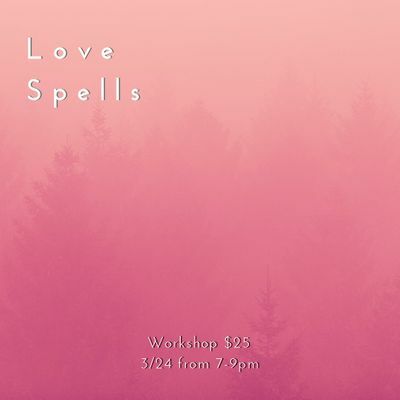 invite you to Love Spells: A Workshop to Cultivate Your Heart's Desire. Spiritual and in need of a vibrational boost? In need of deeper connection and harmony with Mother Earth? Pagan (or not) in search of community? Curious about witchcraft and spell work? If you answered yes to any of those questions then this workshop is for you (because it all starts with you, Darling). 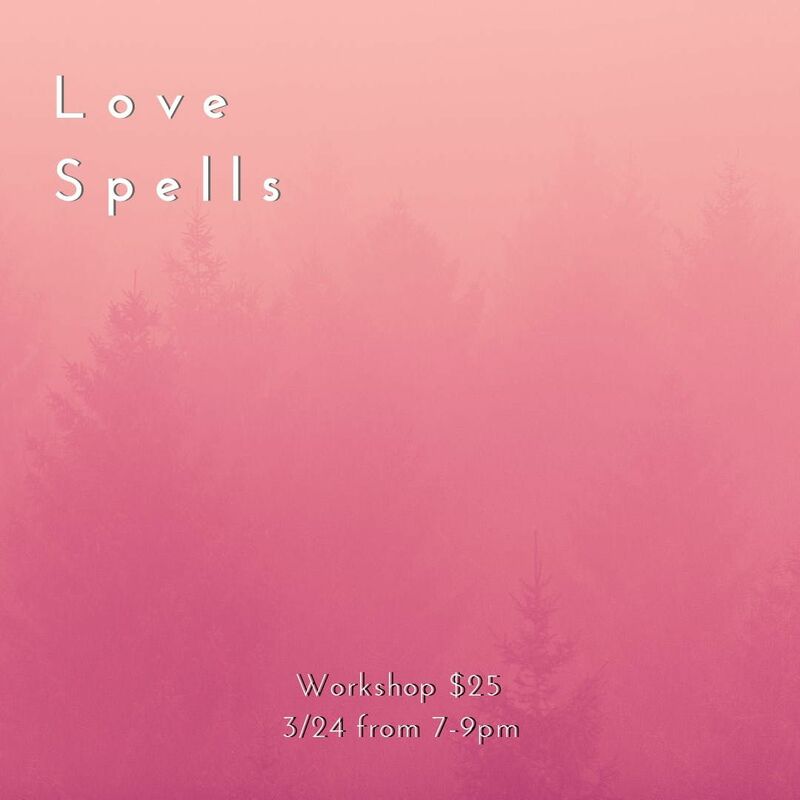 Join us as we introduce you to jar spells and circle casting, to bring energy for love. Together we will join a circle and each cast a self-love jar spell. Meditation and discussion to follow. Feel free to join us in community afterwards, we will go out in the area and have some drinks and food. All supplies and guidance are provided. Take homes: You will receive your personal jar spell to take home, as well as a workbook full of useful information to continue and carry out rituals on your own. You will also receive a raw rose quartz crystal, charged with the energy of our evening, to increase your loving vibrations. Please arrive with both an open heart and pure intentions, as well as a yoga mat or cushion and attire to make floor-sitting comfortable. Spaces are limited. All are welcome.